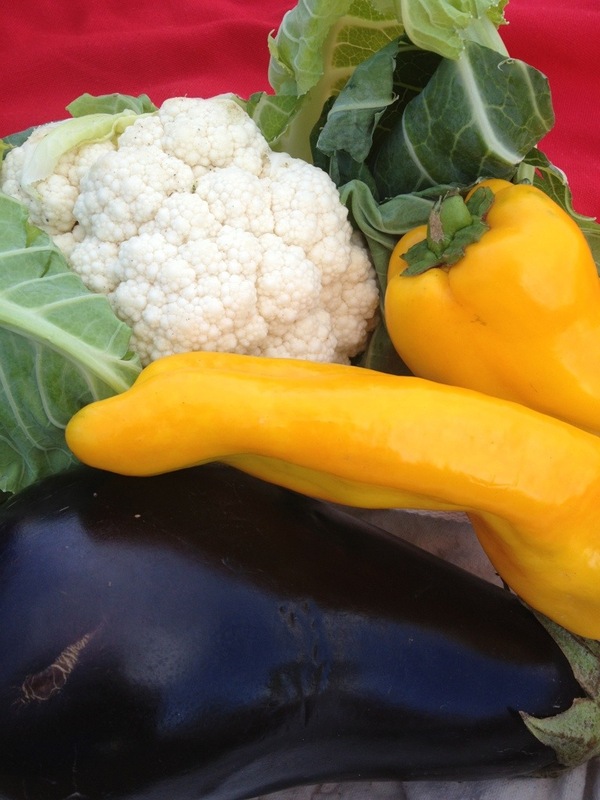 We’ll be eating quinoa-stuffed ringo peppers, roasted cauliflower, and greens along with our pumpkin soup tomorrow thanks to our local farmers’ market. Is this from SFC? Sounds good! yup. we love heading to the triangle farmers’ market once the weather cools off. hope you had a good thanksgiving.